The eyes are often the first areas of the face to show signs of aging. Factors like genetics, facial structure, sun exposure and the quality of the skin all play a role in how the eyes age. To addresses concerns such as under-eye puffiness, bags, dark circles, loose skin and hooding, blepharoplasty (either upper, lower or a combination of both), is a great solution. Or request online that we call you back by submitting our online request form here. Oculoplastic Surgery - Look Your Best and See Your Best! 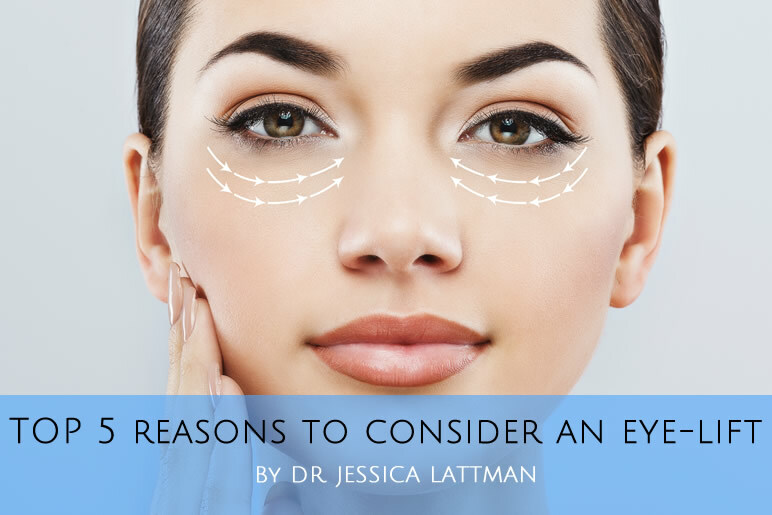 Why Choose Dr. Jessica Lattman? How do I know if I am a good candidate for an upper lid blepharoplasty? What is it like on the day of surgery for an upper lid blepharoplasty? What is an oculoplastic surgeon and what do they treat? What is microneedling and how does it work? I feel like my eyes are showing signs of aging but I am not ready for surgery yet. What are some non-surgical treatments that will help me look better? How do I know if I have chosen the right surgeon? What questions should I be asking? What is a Brow Lift and how do I know if I need one? What motivates your patients to have cosmetic surgery? I am nervous that I will look “done” after my eyelid surgery. What is the recovery time for an upper lid blepharoplasty?